Ever wonder how film crews manage to achieve death-defying camera angles that take your breath away? Well, wonder no more, because I am about to show you one of the most advanced tools of the trade. It's called SARAH, it runs on the QNX OS, and it recently won a Scientific and Technical Award from the Academy of Motion Picture Arts and Sciences for its contribution to movie making. 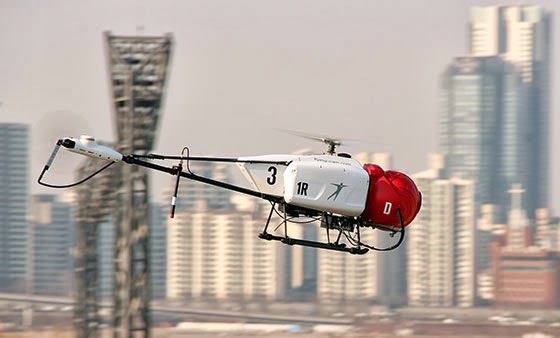 The SARAH unmanned aerial system is the brainchild of Flying-Cam, a company founded in 1988 by Emmanuel Prévinaire, who, in 1979, developed the first unmanned close-range aerial camera for motion pictures. SARAH represents the latest generation of Flying-Cam technology and has been in service since 2012 — yet its credits already include Skyfall, Oblivion, Prisoners, Smurfs II, and Mr. Go. The Flying-Cam SARAH unmanned aerial system in action, filming a scene for Mr. Go. To find out more about QNX and the Flying-Cam SARAH system, check out the press release that QNX issued this morning.